Since 1978, our goal has been bringing Audio Video dreams to life throughout the Charlotte, NC area! As time passed and technology improved, we expanded our services to include home networking and smart home installation services as well. Home Theater Solutions provides design, consultation, and installation of consumer and professional grade audio visual, networking, and home control equipment. Our installation experience and product knowledge complement our core values of honesty, integrity, and professionalism. From home audio distribution to theme theaters to smart home connectivity, we can do it all. We will walk you through the design and implementation of your audio visual, networking and smart home needs for your new or existing home. You deserve our undivided attention. Home Theater Solutions is a small business founded on the principle of excellence and devoting our complete attention to our customers. Home theater and smart home installation is a significant investment, and we look forward to serving you. With us you will feel comfortable and assured every step of the way. Committed to providing the audio visual solution of your dreams. With over 75 years of combined professional experience, we are the premiere home theater and home automation provider in the Charlotte, NC metro area. Voted Best Theater/Technology Company in the Charlotte Observer three years in a row (2013, 2014, 2015), we are committed to providing the audio visual and smart home solution of your dreams while standing by our core values of honesty, integrity and professionalism. Our team of seasoned design and installation professionals has a proven track record of installing everything from home audio distribution to themed home theaters. We are committed to excellence and will ensure your AV and smart home solution is the perfect fit for your family and your home. We will partner closely with you through all stages of your audio visual, home networking or smart home project, from consultation to design to installation and implementation. We’ve got the installation expertise and product knowledge needed to serve all your audio visual, home control, and automation needs for your new or existing home. We work regularly with customers in Charlotte, Lake Norman, Mooresville, Cornelius, Concord, Gastonia and Rock Hill. 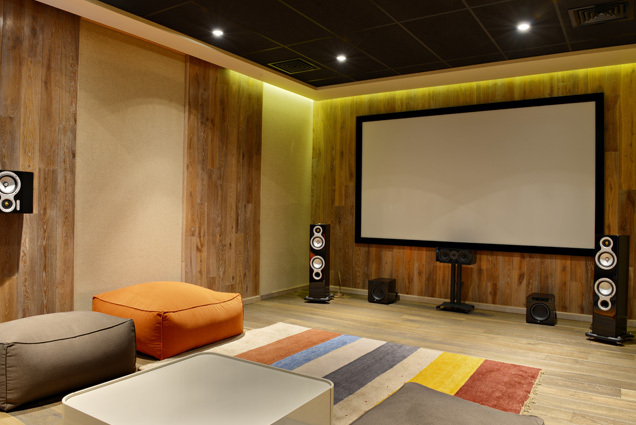 If you’d like to learn more about how we can help you install a home theater, home audio or home automation solution, please feel free to call us at 704.251.0986 for a consultation. We’re proud members of CEDIA, Lake Norman Home Builders Association, and Charlotte Home Builders Association. We’re also proud of our reviews on Angie’s List and Houzz. We’d love for you to read what customers have to say about us – and leave your own review if you’re an existing customer.